At Chatten’s Better Hearing Service we have an array of advanced hearing products and accessories to suit your needs. Your hearing is always changing and we take great care in making sure you are always hearing at your best. Do you have an issue with your hearing aid? No problem. We have expert technicians to fix almost any issue. And great worry free warranties. Baby Boomers… Ever Had Your Hearing tested? Why not? As your local hearing loss centre, we have your concerns about hearing loss in mind. As we age, hearing loss can interfere with work and daily activities. From assessing your hearing to helping you select the right product to suit your needs. We can help address all your questions and concerns. It’s your hearing. It’s important. Get it checked. 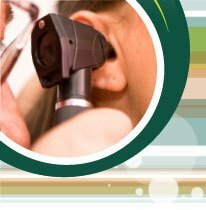 Contact us to schedule a hearing test.